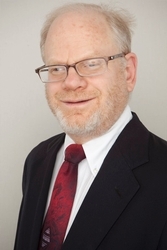 Stephen M. Eisdorfer is of counsel in the Princeton, N.J. office of Hill Wallack LLP. He is a member of the Land Use Solutions, Environmental Issues, and Redevelopment practice groups. Mr. Eisdorfer concentrates his practice on counseling private parties and public entities in land use, environmental, and housing matters, including residential, commercial, industrial, redevelopment, non-profit and health-care related projects. He represents clients in applications and proceedings before local, state, and federal agencies in land use and environmental matters; and in litigation in the federal and state courts in land use, housing, environmental, civil rights and class action cases. Mr. Eisdorfer is admitted to practice before the state courts of New Jersey (1975), the U.S. District Court for the District of New Jersey (1975), the U.S. Court of Appeals for the Third Circuit (1998), and the U.S. Supreme Court (1998). Prior to joining Hill Wallack LLP, he served as an attorney with the New Jersey Public Advocate for fifteen years. Mr. Eisdorfer graduated with honors from Harvard Law School and Haverford College. Exclusionary zoning matters involving more than 75 municipalities. Represented municipalities and private entities before local boards and federal and state courts in matters involving assisted living facilities, continuing care retirement communities, and other health-related facilities. Counsel to property owners and developers in the development or redevelopment of corporate office facilities, extended stay hotels, and research laboratories. Special counsel to the New Jersey Builders Association. Co-counsel for victims of a $35 million commodities fraud in successful proceedings in federal and state courts. Presented oral argument in eleven different matters before the New Jersey Supreme Court or the U.S. Court of Appeals. Selected for inclusion in New Jersey Super Lawyers since 2005. The Super Lawyers list is issued by Thomson Reuters. A description of the selection methodology can be found here. No aspect of this advertisement has been approved by the Supreme Court of New Jersey. Named to the New Jersey Best Lawyers list in the area of Real Estate Law, 2006-2017. The New Jersey Best Lawyers list is issued by Woodward/White, Inc. A description of the selection methodology can be found here. No aspect of this advertisement has been approved by the Supreme Court of New Jersey. Member, Board of Trustees, Junta de Acción Puertorriqueña, Inc.